Despite a rocky start, The Elder Scrolls Online has been going from strength to strength since Bethesda ditched the game’s subscription fee and launched the game on consoles back in 2015. And although The Elder Scrolls Online is not as popular as the likes of World of Warcraft, it is still a solid role-playing multiplayer game with a huge world to explore and plenty of quests to tackle with other players. And those fond of The Elder Scrolls Online were delighted when Bethesda added the “Thieves Guild” to the game last month, the infamous criminal group that has featured in Bethesda’s superb single player Elder Scrolls games since the second game in the series debuted in the 90’s. 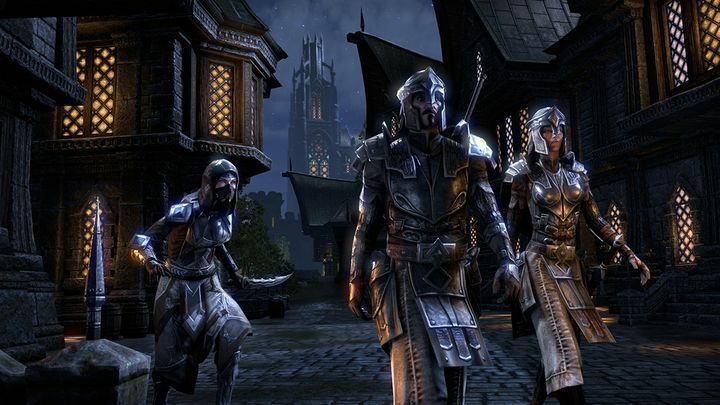 So now The Elder Scrolls Online players will have a chance of getting acquainted with the Dark Brotherhood in a new DLC pack (see trailer above), putting down targets all across Tamriel like a medieval fantasy hitman… And hopefully the Dark Brotherhood quests will be as engaging and entertaining as those in the single player Elder Scrolls game, making The Elder Scrolls Online a better online RPG. Aside from the Dark Brotherhood, Bethesda will also add new areas to The Elder Scrolls Online map, and towns like Anvil and Kvatch (last seen in The Elder Scrolls IV: Oblivion) will now feature in the game, making the online fantasy world of Tamriel bigger still, plus other changes detailed on Bethesda’s official website. Note: The Dark Brotherhood DLC pack will be released on June 14 on PS4 and Xbox One, and May 31 on PC and Mac. Next: Will the PS4K Make Consoles More Like PCs? Will the PS4K Make Consoles More Like PCs?